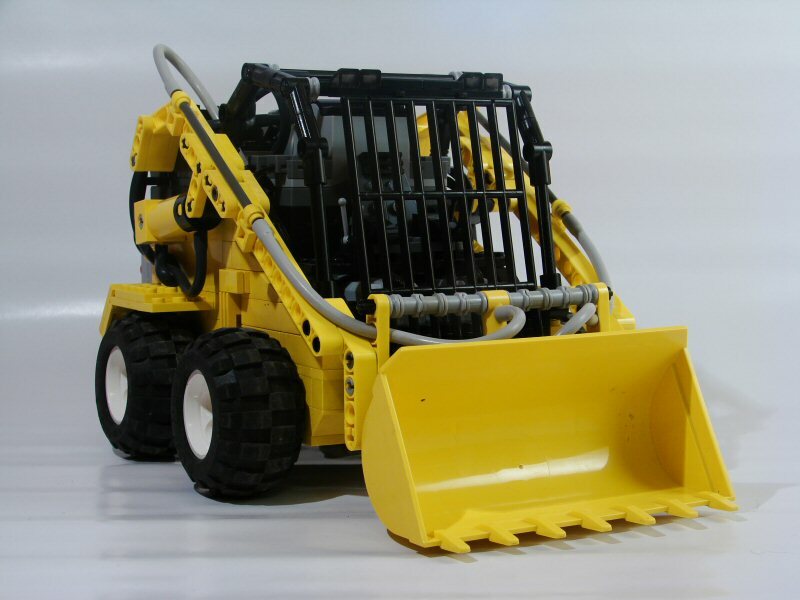 Today a fully remote controled Skid Steer Loader like the Bobcat®, by Sebastian Ečer (Shmade), member of kostky.org (Czech LEGO Forum). 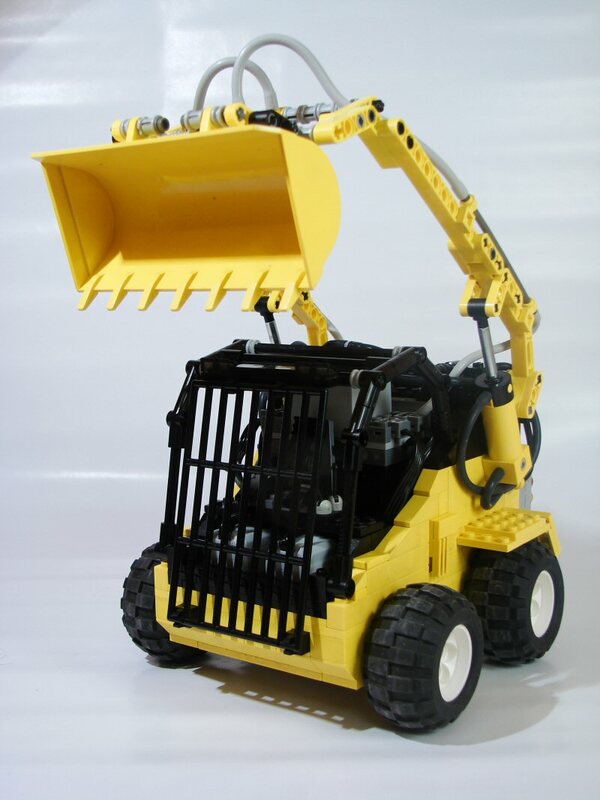 This is a very compact nice looking model including several LPF and pneumatic elements. Each pneumatic function, has its own compressor driven by a dual function PF M-Motor, which were determinant to achieve such detailed functionality in this small volume. Each motor switches the pneumatic switch where it's accopolated and continues to pump a set of pneumatic cylinders till the motor direction gets reversed. Then it switches back and continues to pump the same cylinders in the opposite direction. This is possible by using a 24-tooth clutch gear in each circuit. A very good example of perfect integration between "old" pneumatics and the new LPF system. It shows very well, how actual the pneumatics still are, how smooth they can be and that Linear Actuators, didn't came to solve all the problems nor builders needs. Sebastian also built some functional accessory tools for his main model. 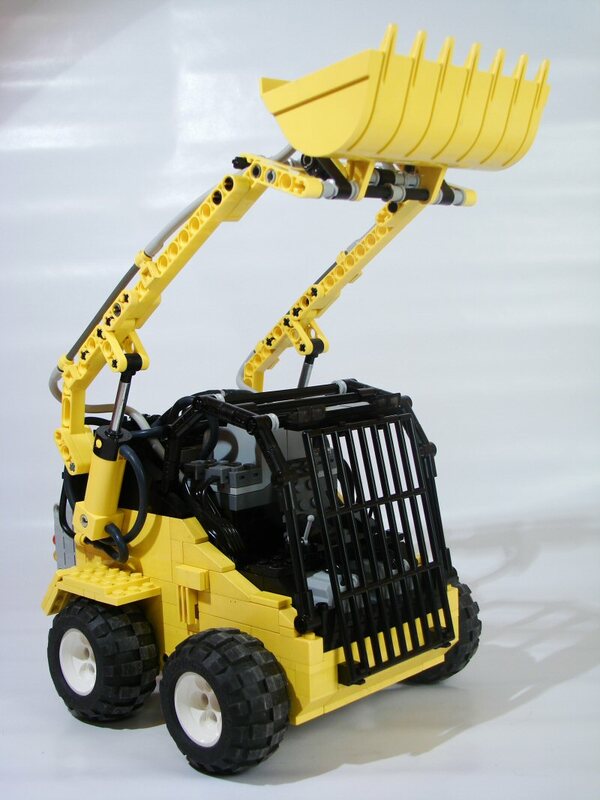 An electric "pneumatic" hammer and an auger, which can be easily replaced by just pulling one axle. Loved the use of this part, as the front grill. The full set of photos of this model, can be seen at Sebastian's BS folder, here. There are a few more at the original post at Kostky forum. There I found more detailed pics of the Sebastian's mini version, that we can see in the BS gallery. 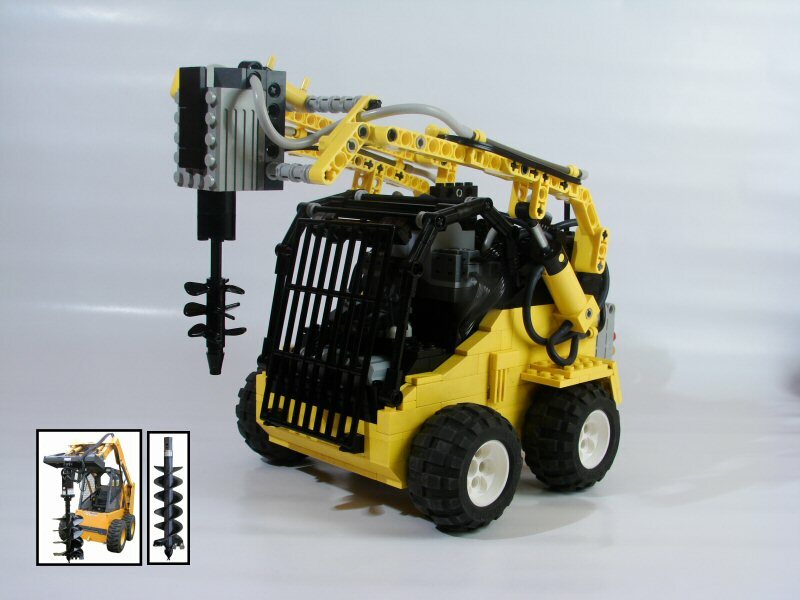 Now that this year's smallest TECHNIC set (8259) became so popular, it reminds me the 8418 Mini Loader, although not functional (at least from the TECHNIC perspective). 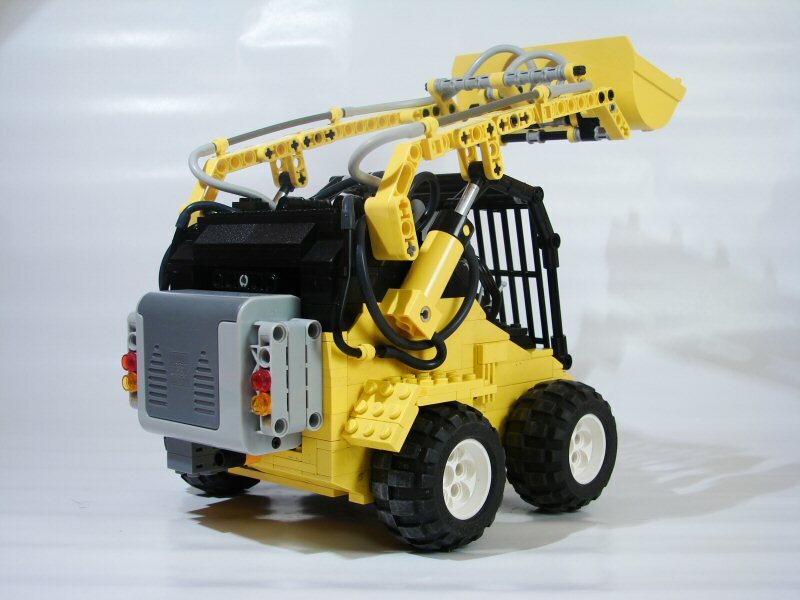 It's very interesting and not complex the pneumatic remote control mechanism. Very nice and compact! 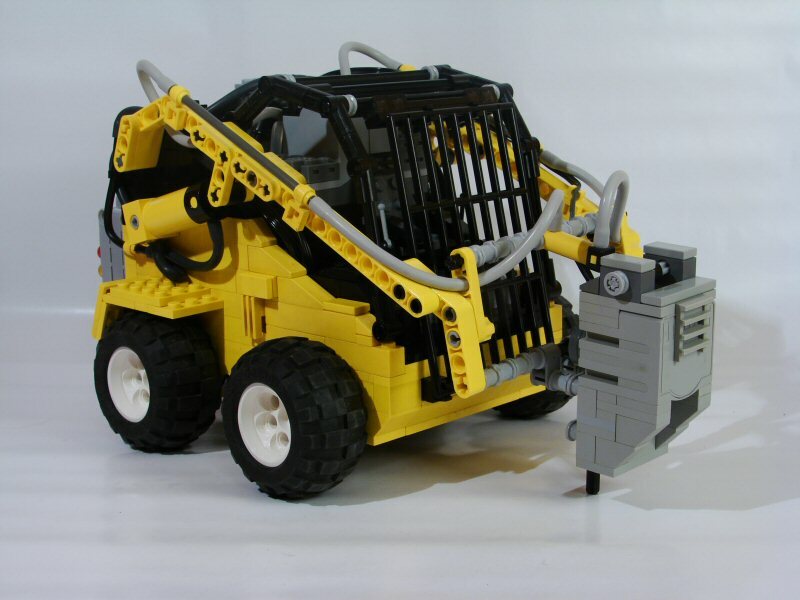 The pneumatic mechanisms are a potential source of inspiration for a MOC I intend to make. I just think the wheels could be a little bigger to be in scale with the rest.